This Blog references an excellent article on the legality of multi-level marketing by MLM legal expert, Bruce Craig, former Asst. Attorney General of the state of Wisconsin. Based on the experience of millions of people, there is one type of scam people are becoming less and less aware of even as it grows and spreads and victimizes more and and more people. That scam is the “endless chain.” The endless chain is the basis of all pyramid scheme frauds and what are also called “ponzi schemes.”Pyramids and ponzis are now the most common form of fraud on both Wall Street and Main Street. Yet, despite their spread, the growing consumer losses, and the difficulty most people have in spotting this kind of fraud, the Federal Trade Commission has pretty much stopped prosecuting them. It even protects them by exempting them from disclosure requirements placed on other forms of “business opportunity” solicitations. Some Wall Street investors now promote these frauds because they offer much more profit than real businesses do and the government appears to be letting them run rampant.In it simplest form, the endless chain fraud is a promise of income to an investor or participant that is based on many others also joining the plan. If more join later, those who enrolled earlier will get their promised reward. Then, those who had joined later will get their promised rewards only if many more join after them. The number of required investors (participants/investors/distributors/coaches/IBOs, etc.) grows each time as more people join. The more who join, a multiple of many more must join later. The new investors are needed because it is their investments that will pay the earlier ones, etc. 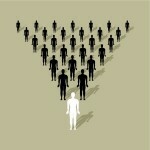 In a pyramid “endless chain” the investors themselves must find the new recruits. In a Ponzi “endless chain,” the organizer of the scheme must find them. Either way, the promise to each person of a lucrative payoff is contingent on others joining and paying. If they don’t, the promise cannot be met. Losses will follow.Of course, endless expansion is impossible so the latest to join eventually cannot find enough new people and they must lose their investment. How many will lose? Well, if each level requires more below them in order to get paid, the majority of all participants will always be at the bottom, so the loss rates can be as high as 99%. This is pre-determined. Those who set up these schemes know from the start that nearly everyone who ever joins will lose their money. This is called fraud. Endless chain income promises are frauds. Frauds are illegal. Endless chain income schemes must be illegal, right? Well, In recent years, a new form of marketing was invented in the United States called “multi-level marketing” (MLM). In MLM, new participants can make money on the payments, purchases and sales of those they recruit. Every recruit can continue to extend the sales chain, endlessly. Is MLM an endless chain? Yes, of course it is. It actually claims the income is “unlimited” and it can go on forever, regardless of population limits, competition, or saturation. The chain can continue forever, MLM promoters say. To get the benefits of the “unlimited” income, each new person must make payments and purchases. The people above make money off the payments and purchases of the ones that join later. So, how is that legal? But, MLM schemes have a disguise that they say makes the scheme legal. MLM leaders claim that new recruits, in addition to making money based on recruiting, also have the right to personally resell their products on a retail basis. So, they don’t have to recruit. They could sell goods to their own customers, recoup their investments and, therefore, not lose. Many MLM companies also claim that if the MLM recruit wants to get out of the scheme, the MLM company will re-purchase recently purchased products. So does the retail sales option and the re-purchase plan erase the trickery of the bogus endless chain income promise? MLM legal expert, Bruce Craig, says NO. He points out that state laws and past court cases make it clear that using an endless chain promise to induce people to invest money or to buy goods is “unfair and deceptive.” For those who have been told that MLMs are legal, his article is an important source to see the other side of the story. The article is also a reminder that, legal or not, an endless chain will alway cheat 90-99% of the investors out of their money. But what about the re-purchase or buy-back provisions? Well, does refunding money to victims after they were deceived with an endless chain promise really change anything? What about those who don’t realize they are tricked and so don’t ask for the refund? Does a bank robber get pardoned if he returns the money? Does a thief who gets caught in the act, have the option of returning the stolen goods and going free? Bruce Craig’s reminds us that the endless chain promise is false. Whether the people on the chain have retail customers or not, if the income promise depends on having to extend the sales chain and making money off the work and investors of later recruits, the bottom ranks – the majority – will always lose out. Retailing does not change the deception of the income promise that induced the initial investments. The scheme used a lie to get people to invest and spend money as well as time, hopes, and to involve others, including friends and family, in a doomed enterprise. A good test of whether the retailing option and the refund offer really enable many people to escape being defrauded is the actual percent of MLM participants who recoup their money by retailing or by asking for a refund. If few do it, then those two factors provide little or no protection. Apparently, they do not protect the public. Most MLMs report refund requests of less than 2%. And MLM companies cover up and never disclose — most claim they don’t know — how much of their goods are ever resold on a retail basis. Some admit that the majority of their sales and their customers are their salespeople. The salespeople never actually sell anything! They just try to recruit other salespeople. So the sales force is an endless chain of salespeople, without customers. Since saturation and population limits prevent continued recruiting, most recruits never successfully recruit others. They just end up quitting usually within a year, after losing money. MLMs label them “quitters and losers” and say their losses are their own fault. Some MLM companies boldly admit that 99% of the recruits never make any money from commissions. But, they say the retail profit option covers those losses, even if they can’t verify the retail sales or profits. And, they say, the MLM business is the world’s greatest income opportunity. Right now it is, effectively, legal to tell that lie.